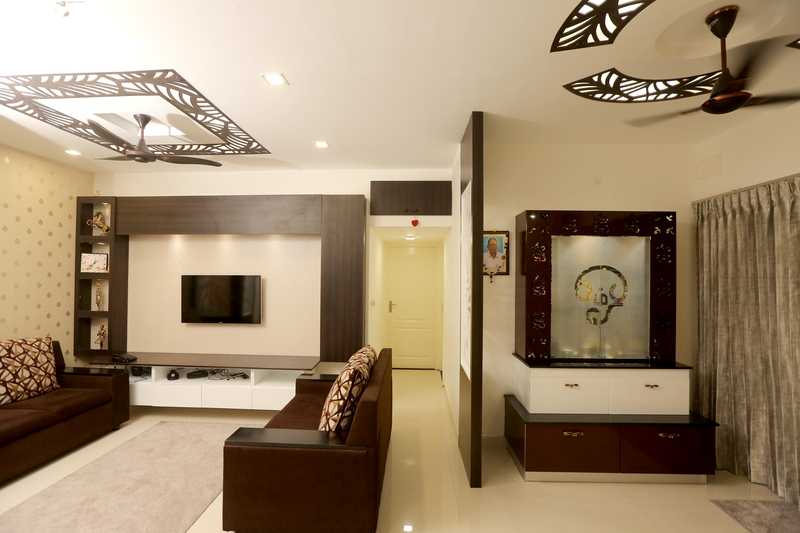 Living rooms are the most important of all, while designing any Home Interiors. It depicts who you are, through the style and design of whatever goes into designing your Living Room. Unlike any other room, Living Rooms are the heart of one’s Home. So a lot of effort and detailing goes into creating it. It gives you a great advantage of creativity and innovation. Define the activity that’s planned for the Living Room. Whether it is simply going to be used for a formal meeting lounge for guests, or a leisure space for family. Depending on the type of activity, the living room can be planned. Because a lot of effort and detailing goes into designing a perfect living room. The desired style and design of a living room can be achieved by carefully analysing and executing the following components. The colors you choose for your living room will affect how guests feel in the space. 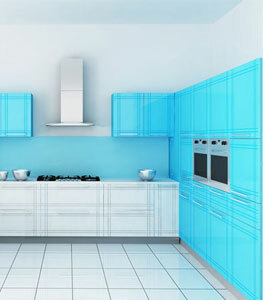 Colors can energize or relax the space, depending on how intense they are and how warm or cool they are. A serene scheme of white makes the spacious living room feel calm, cool, and collected. The walls and ceilings of Living Room need to be decked up and given elaborate treatment than other areas because the living room is the heart of the house. 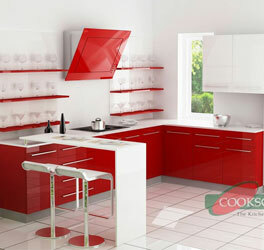 To make it inviting, design the walls and ceilings which will depict your style. In keeping with the function of the living room as a public space, choose a floor covering that provides comfort underfoot and makes a design statement as well. If you prefer a less bold floor, choose a solid neutral flooring that allows attention to focus on furniture or art. Hardwood floors with area rugs are one of the most popular choices for living room floors, but ceramic tile, stone tile, and full carpeting work too. A focal point anchors the living room and helps draw you into the space. In Indian Homes, the television is mostly the center piece of attention. A beautiful Wall Mural can also be the focal point in places where the living room is merely used as a lounge. Living rooms are gathering spaces, so use furniture arrangement to promote conversation and interaction. Pull seating pieces away from the walls and arrange them to face each other. If you have a large living room, break it into two conversational groups for a more comfortable, intimate feeling. Chairs and ottomans that can be pulled into the group as needed allow you to expand the circle and still keep the intimacy. Lighting in the living room should be geared toward creating a relaxed, comfortable mood. Aim for layers of light, and position light sources so they form roughly a triangle to ensure good distribution of illumination. Table lamps that focus the light down will encourage people to sit down and relax. The overlapping arcs of light illuminate the seating instead of the upper walls, sending the message to sit. Although heavy window treatments are mostly a thing of the past, living rooms are the place for elaboration and luxury if you're so inclined. The elegance comes from the generous use of fabric in the draperies--they're not fancy, but the thick folds and puddling ends communicate luxury. The shades block light and provide privacy when desired. If your living room is also your family room, watching TV may be the main use of the room. Whether you have the newest model or an older one, incorporate it into the room's design so that it's a feature but not dominant. Living room walls come alive when you use them to display art or collections that you love. A photos collage wall will eventually be your wall of Memory. Group items for impact, and hang them low enough to relate to nearby furnishings or architecture. You could also incorporate display of antique furniture which will not only depict your style, but add life and give a warm feeling to the whole space. Landscape is always thought of as an exterior element. But, it adds meaning and warmth when used indoors too. Clever planning of use of landscape in interiors can bring about a classy décor for the living room. It could be natural landscape or artificial & dry plants with adornments like a water cascade. Given a place with proper lighting, it will set the mood of the living room to a very lively and cozy space. Indoor landscape could also follow a theme like organic home garden or bonsai theme, etc.